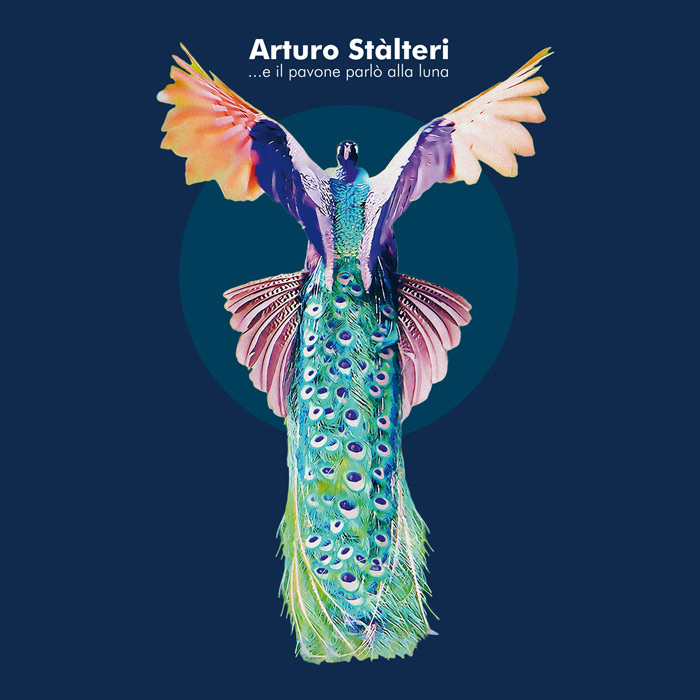 Recorded in 1980 but pressed for the 1st time in a privately issued in1987 Arturo Stàlteri’s …E Il Pavone Parlo’ Alla Luna (“..and the peacock spoke to the Moon”) falls among the last artifacts of Italy’s great wave of musical Minimalism. Like the movement to which it belongs, rigorously resistant to categorizations and definition, this overlooked marvel sculpts a startling singularity. A radical and democratic vision in sound, blending elements of New Age, the avant-garde, and Prog, with Western and Indian Classical musics. Highly talented pianist Arturo Stàlteri debut in 1974 with Pierrot Lunaire, one of the most original and innovative groups of the Italian progressive scene. After the dissolution of the band begins an inspirational solo career with the Prog. opus Andrè Sulla Luna (1979); the following year a two-month trip to India left an important sign on him and inspired …E Il Pavone Parlo’ Alla Luna that rises as Stalteri’s true masterwork. A complex and ambitious hybrid, built around organ and piano. Each passage struggling for creative autonomy - dislodging themselves from the whole. - as challenging as they are accessible, to all those willing to heed the call. Despite its repetitive rhythms and cycling tones, bound to American Minimalism, …E Il Pavone Parlo’ Alla Luna s complex relationships and breadth of territory, locate it as a distinctly European work - a wondrous late breath, and seminal entry, in Italy’s remarkable canon of avant-garde and Minimalist music. A rippling oddity, not quite like anything else.